You will need Xcode, Go, SQLite and Cocoapods installed on your machine. Some knowledge of Swift will be helpful. Live blogs allow users to follow events live without audio or video. It's particularly useful when you are in situations where you cannot consume audio/video media. Live blogs have been used to cover things like football commentary, political commentary, and more. Xcode (v9.x) running on your machine. Download Xcode. Go (v0.10 or later) installed on your machine. Installation guide. 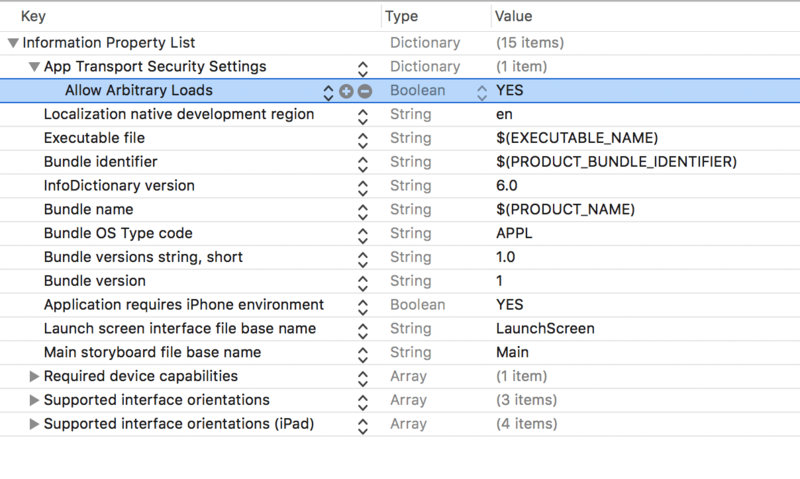 Knowledge of using the Xcode IDE. Cocoapods installed on your machine. Installation guide. When the installation is complete, you will see a LiveBlog.xcworkspace file in the project directory. Open this file in Xcode. To create this, we added a new navigation controller and made it the entry point of the storyboard. We then assigned a reuse identifier to the cell on the table view controller called post. We also set the title of the view controller using the interface builder. Next, create a table view controller called PostsTableViewController and set this as the custom class for the table view controller in the main storyboard. Above we have a two Codable structs for the Post and Posts objects. We will decode the response from the API to these objects and make working with JSON responses easier. In our viewDidLoad method, we make a request to the API to fetch the posts and then we save them to the posts property of the controller then we reload the tableView. The rest of the methods in the controller should be familiar to you. They are used to override the table view's rendering. Because we are creating a live blog, we want to add the realtime functionality to the application so that when a new post is made, we get an instant update. Replace the PUSHER_APP_* keys with the value from your Pusher dashboard. In the code above, we create an instance of the Pusher SDK and then we subscribe to the live-blog-stream channel. We then bind a callback to the new-post event on the channel. Whenever this event is triggered, the callback is fired. In the callback, we update the posts with the new post that was passed with the event then we reload the tableView so the changes are reflected immediately. With those few lines, we have implemented realtime functionality to the application. Easy right? The next thing we want to do is create the backend for our application. We will make it as simple as possible so we can easily demonstrate how to trigger events on a channel in Pusher using Go. In the root directory, create a new file called main.go and in here is where all our Go code will reside. Above, we import the packages we will need for the Go application to function properly. We also defined a main function which will be the sole entry point of the application. In the main function, we instantiated the Echo framework and we added some middlewares to the instance of echo. Next, we initialized the database and ran a migration on the database. This will create a storage.db file in the root directory. This is the file SQLite will use to operate. Finally, we defined some routes for our application and specified the port we want our application to start on, 9000. In the main function, we referenced some functions we had not created so let's add these functions. Above, we have four functions. The first is the initialiseDatabase function. We use this to create the database file if it does not exist and then create a connection to the database once it exists. The migrateDatabase function does just what the name suggests. It executes migrations for the database if it was not previously run. The getPosts function gets the list of posts from the database and returns it as a JSON response. The savePost function saves a new post to the database and triggers an update to Pusher on the live-blog-stream channel. Replace the PUSHER_APP_* keys with the keys from your Pusher application dashboard. In the above, we instantiate the Pusher Go client with the credentials from the dashboard. This will make it possible to trigger events using the Pusher instance. The code above is for the admin page where we can add our new posts. This will then make a POST request to the API to add a new post to the database. When the post is added to the database, an event will be triggered by the Pusher Go client. This event will then be picked up by the Swift application and the iOS app will be updated in realtime. This will start a server on port 9000. In this article, we have seen how we can easily create a live blog using Swift, Go and Pusher Channels. Pusher Channels makes it very easy to implement realtime features into almost any application in all languages. You should check out the documentation here to get started. The source code for this article is available on GitHub.